Though we know that most homeowners in Kansas City love having trees on their property, we also understand that at some points a tree has to go to better make use of the land it occupies. And whether you’ve had a tree fall over in a storm, or would like to landscape your yard in a different way, having access to the right professionals for the task is important, which is where we bring you our thorough and effective residential tree removal services for your Kansas City home. In the wake of large storms, it’s sometimes common to see a tree on your property has fallen victim to the effects, and trees are not simply items you can stand back up and have them continue on their way. Their lifespan on your property is effectively over, and getting the right removal service to either start over with a new tree or to repurpose the area is important. 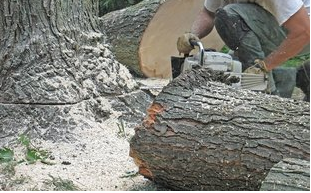 At www.classictreekc.com you will find the necessary contact details to get the professionals needed onto your property and dealing with your former tree in a full and effective tree removal service. When building your home, or looking to add an outlying building to your property, you can often find that a defiant tree stands in the way, and bringing the right tree removal kansas city service will yield you the best results. Choosing our company for your removal needs sees your property being treated by experienced professionals who know how to get the job done quickly and effectively. Bringing you a full removal service that will have your land ready to build on in no time. Whether we’re caring for a tree or taking one away, you can always rely on us to bring your property the best services. Whether looking to mulch a tree to use as bedding for other greenery, or to turn your tree into a part of a new building, you can be sure that we have the services that are right for your needs. By visiting our website you will be able to find out more information about all of the tree removal and repurposing options we have available to you, and the means in which we can turn your property around with the right plucking. No matter the service you need for your trees, you can count on us. When choosing the experienced professionals that we bring to your task, you can be sure that you will get the fastest and most effective tree removal service in the Kansas City area. We are highly knowledgeable in all things tree related, and can bring down a tree from its canopy to the roots before you know it. This comes with years of experience dealing specifically with trees, and those in the Kansas City area. When you need a full and thorough tree removal to open up the property you own.